Huddersfield had not won a Premier League game since August prior to today, but the Terriers put up a magnificent, spirited display to get the best result they could ever have hoped for – a win against Manchester United at home. The clash against Liverpool at Anfield was United’s 8th game of the Premier League season, and it showed just how much Mourinho trusts Victor Lindelöf to play in the domestic league by the fact that his 2 minute cameo was in fact his debut in the Premier League. The Portuguese boss had to field several questions as to why the Swedish international was trusted to start in Champions League and Carabao Cup games, but not in the Premier League, and his response was simple. He didn’t think ‘the Iceman’ was frozen enough yet – in other words, he didn’t think he was ready for the challenge of the top tier of English football. After this showing, it is evident that he knew what he was talking about. Phil Jones, who has been fantastic so far, had initially started the game alongside Chris Smalling, but when he went down injured, Lindelöf was finally given his break. A perfect chance to prove his worth against a low lying team struggling for confidence. Did he take it? Well, Huddersfield’s second goal would answer that question. A long ball from Terriers keeper Jonas Lossl was terribly misjudged by Lindelöf, who made the criminal error of letting the ball bounce over his head. 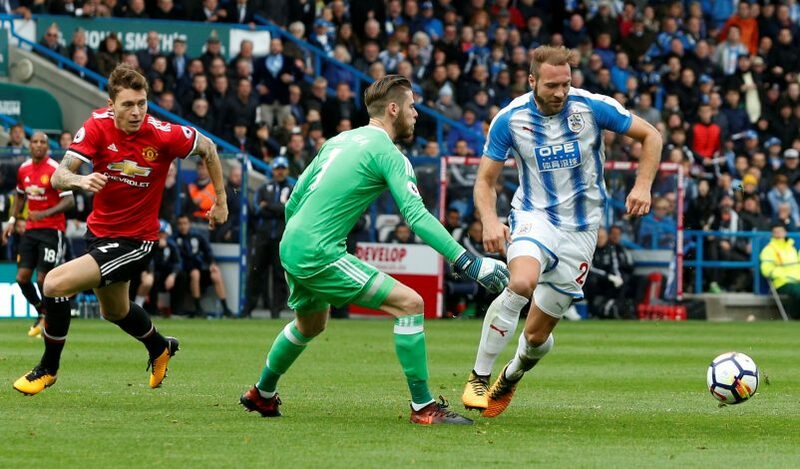 Laurent Depoitre just picked up the pieces from the stumbling defender before coolly taking the ball around De Gea and slotting it in to send Huddersfield fans into delirium. After this performance, it is very unlikely that he will be much of a worry for Eric Bailly and Jones once they return in terms of contending to be first choice. Henrikh Mkhitaryan had made a magnificent start to the new Premier League campaign, but over the last four weeks or so, his form has been woeful and has been seen as a massive source of frustration amongst the United fans. 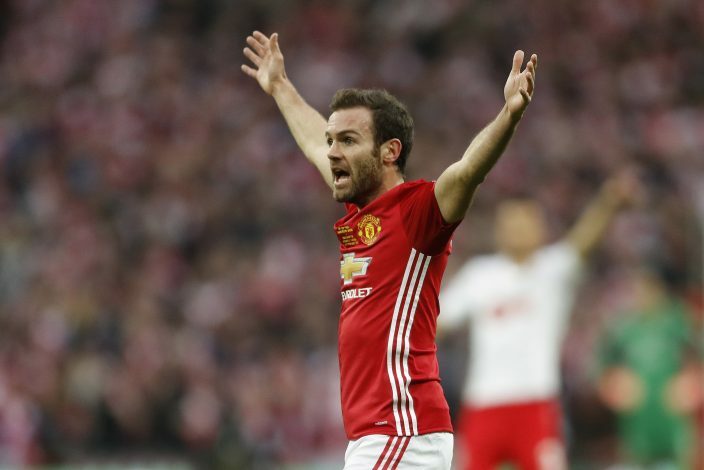 Twitter was flooded with posts of fans crying out for Juan Mata to start in the number 10 role, and they got their wish. This is exactly the case with Anthony Martial, except the striker has proven his worth to the team on a number of occasions this season and arguably deserved the chance to make an impression from the get-go. Both players finally got their chance to shine, but United fans would have been stunned by what they witnessed. It was the polar opposite of everything they had hoped for. Mata struggled to even get a touch on the ball for a majority of the time he was on the pitch, and often went as far back as right in front of the center-backs, just to get a touch on the ball. To make matters worse, it was his error that gifted Huddersfield the first goal of the game. The Spaniard has one of the best first touches in the league, and his ability to control a football is at times ridiculous as it is beautiful to watch. All that deserted him when it mattered most though, as Ashley Young’s poor pass was met with an even worse first touch from Mata, and Aaron Mooy then raced away with Tom Ince, whose shot deflected back into the path of his team-mate and it was 1-0. Martial, who has been devastatingly good at times this season, just couldn’t make a difference here. He tried too hard to get past defenders and made several unsuccessful attempts to take the Terriers’ defenders on. Both players suffered the ignominy of being substituted at half time, and it would be hard to claim that they didn’t deserve it. 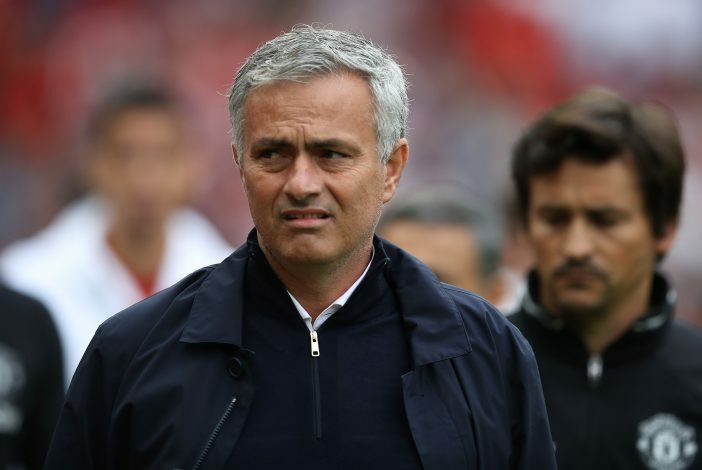 The question does still remain though – why doesn’t Mourinho just start with Rashford and Martial? March 1952 – that was the last time a Huddersfield faced off against a Manchester United side and won. A lot has changed in the 65 years since that day, with the club having to battle through so many obstacles in order to be where they are today. This occasion meant more to them than just any other big game they have had to play – although it hardly gets bigger than United at home. The pride in their achievements, the passion and belief in their club that they have been forced to hang on to during times that saw them fall into administration, it was all out in full force at John Smith’s stadium and it ultimately blew United’s players off the pitch. This is what they worked so hard for, and where they deserved to be. A Premier League fixture against one of football’s elite clubs would have been unimaginable just a few years ago, but here they are. The outcome of the game was a perfect reflection of the feelings that overwhelmed the supporters just before it, and it showed just how much more this game meant to the Huddersfield players and fans than it did to their opponents. It’s one thing to make a magical return to the Premier League, but it’s an entirely different story fighting to hold on to that status and not going straight back down. 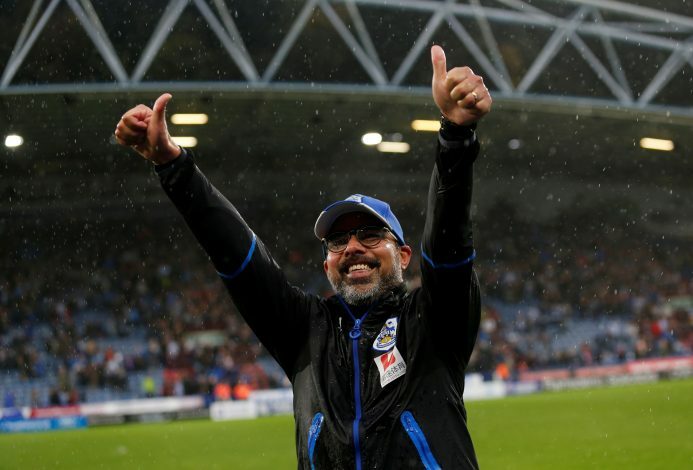 History aside, the victory was crucial to Huddersfield recovering from a mini-slump that put them in danger of being dragged into the relegation scrap. Prior to this clash, they had not scored a single goal in the Premier League since the 16th of September. They had made a marvelous start to the season with two wins in two, but have gone off the rail ever since. The win was their first in the competition since August, having drawn three and lost three since those wins against Crystal Palace and Newcastle at the beginning of the season, and it has put the Terriers right back on track. They now sit at a respectable 11th in the table, just 4 points off Stoke City in the relegation zone and also 4 points off 4th placed Chelsea – a rather intriguing scenario. United had made such a magnificent start to their Premier League campaign before the clash against Liverpool, and looked like an incredible force to be reckoned with. Pundits and fans alike believed they saw something in this side that made them hope this could be the year that Sir Alex Ferguson’s legacy finally stops haunting the club and becomes a thing of the past. Yet, all of a sudden since the drab affair at Anfield, they seem to have gone to playing the negative football that has angered and frustrated fans ever since the legendary Scotsman retired. More than anything, the performances seem so devoid of passion and it is becoming a big worry considering the form Man City are in, not to mention the fact that Tottenham are also hot on their tails. Paul Pogba’s absence is severely affecting Romelu Lukaku, who has lost his main source of service. Phil Jones continues to be haunted by niggling injuries and with Eric Bailly a doubt, Lindelöf will be thrust into the limelight and he has already made a hash of the first real chance he had been given to make an impression in the Premier League. United have a series of very tough fixtures ahead of them, and if they don’t get their act together, City will run away with the title. It all starts at Spurs next week, who will be level on points with Mourinho’s men if they secure a win against Liverpool tomorrow. This could be a long, hard week for the Old Trafford outfit.